Banpresto's new Dragon Ball series inspired Blood of Saiyans figure collection highlights that triggered moment when opponents knew they were about to have major problems. 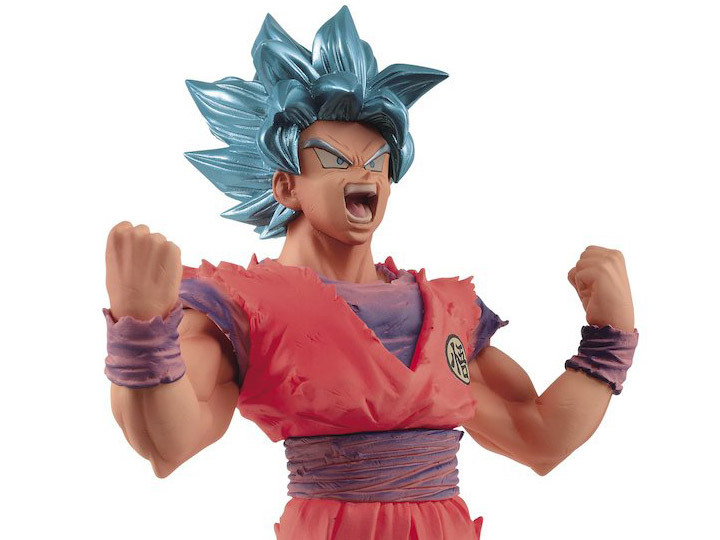 Nothing becomes more frightening for an opponent of Goku when he breaks out a new power level, and this figure brilliantly captures our hero doing so. 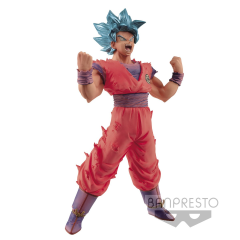 Fans will feel the strength of Super Saiyan Blue Goku as he pours on the energy just as he transcends his ultimate form with his power multiplying secret ability, Kaio-ken! Standing at 7.1 inches tall, this figure comes with its own foot base support for secure standing.